For a very limited time, you can get the Complete Blu-ray movie set to the ‘Indiana Jones‘ films. Yes, the Crystal Skull does come with it, but the other three films are worth it. This set retails for about $100.00, but now you can get it for $39.99, which makes it the cheapest it has ever been. The set comes with five discs including all four movies and a bonus disc packed with extras including new and original documentaries, behind the scenes and more. These would make great stocking stuffers for the upcoming holiday season. The films have never looked or sounded better than they do with this new blu-ray set. It’s like watching them for the first time all over again. If you can stomach to have the Crystal Skull one in your house, I highly recommend getting this for such a cheap price. Geek Deal of the Day! 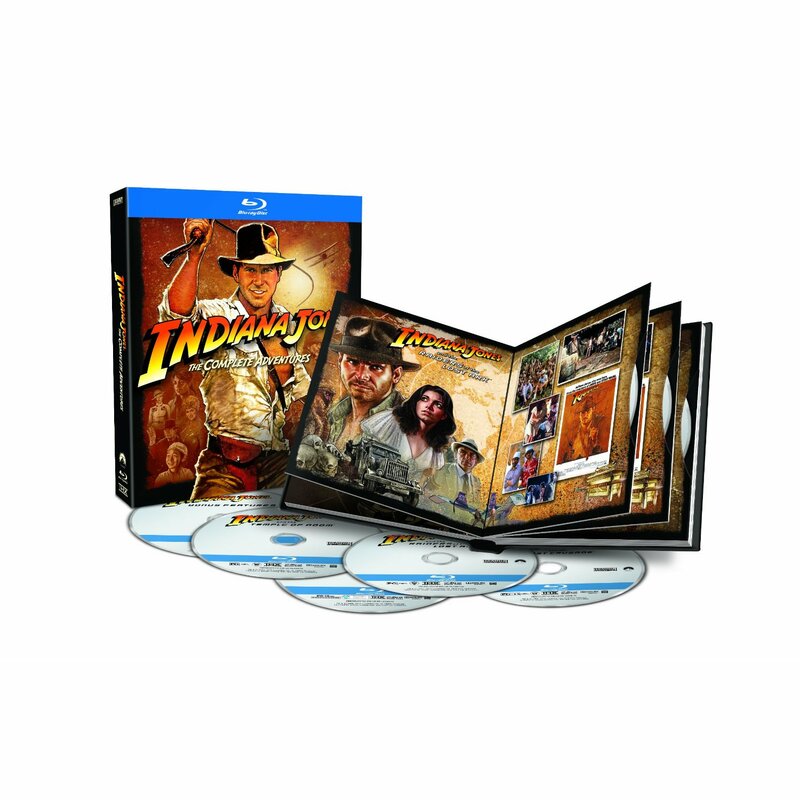 ‘Indiana Jones’ Complete Blu-ray Movie Set 50% Off!!! Film Review: ‘Raiders! : The Story of the Greatest Fan Film Ever Made’! This entry was posted on Wednesday, December 5th, 2012 at 11:13 am	and is filed under Film, News. You can follow any responses to this entry through the RSS 2.0 feed. You can skip to the end and leave a response. Pinging is currently not allowed. « Sean Bean Set To Star in TNT’s ‘Legends’!! !